A few weeks ago my I was chatting to my mum about her latest baking adventures when we got onto her most recent love; Henny & Joes Chai Syrup.. she's recently used it to make chai latte's and chai ice-cream and I was intrigued to find out more about it and whether it would be something I could incorporate into my much loved cheesecakes I occasionally make. 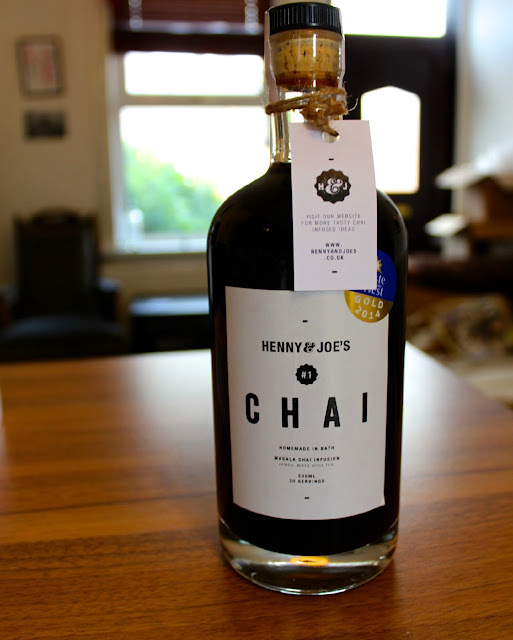 Henny & Joes is the creation of Ash Bailey from Bath and named after his two sons; Henry and Joseph.. how cute! Over the years Ash worked in a number of different bars and restaurants that all served chai lattes but he found that most of the syrups used in the drinks contained artificial additives. He decided that he wanted to take some time to perfect his own recipe and lead the way in the all- natural chai revolution! Recently the chai infusion has won 'Taste of the West Gold Award 2015'. 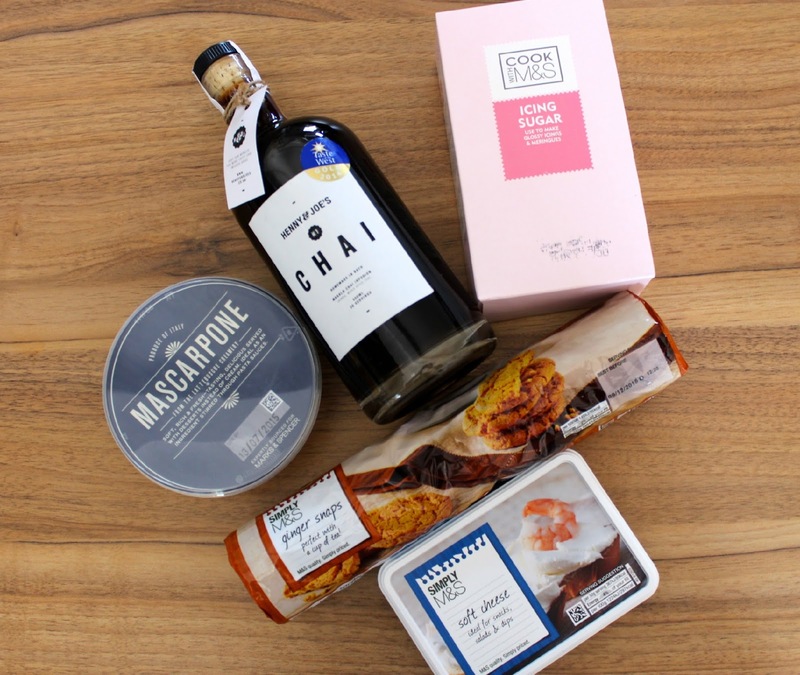 I was lucky enough to be sent a bottle to test out and thought I'd share with you my recipe and a few photos of the finished treats to tempt you into the world of chai! The chai syrup is made using a blend of aromatic whole spices- these being cardamon, cimmamon,cloves,ginger,allspice, vanilla, star anise,nutmeg, fennel seed and mixed spices topped of with sugar and water making it 100% natural. The smell of the syrup reminds me of my time in India sipping away on chai tea whilst enjoying the sights and sounds of the busy city I worked in. 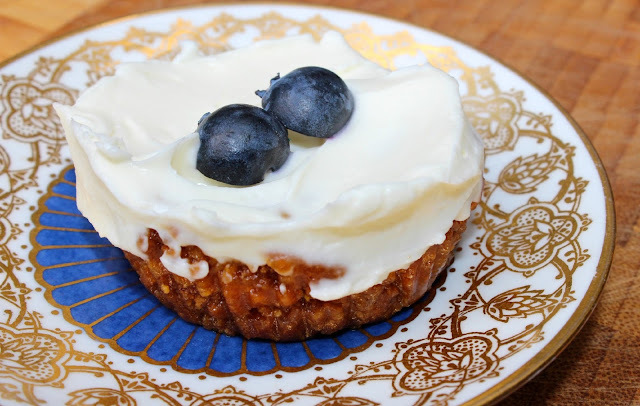 I love making no bake cheesecakes as they are so easy to put together- the less hassle the better for me when it comes to making deserts or baking- I have no patience! So.. what did I use? 1. Place your ginger nut (or plain digestive biscuits) into a sealable freezer bag, push out all of the air and then get bashing with a rolling pin- be careful not to split the bag though.. no-one wants biscuits all over the kitchen! 2. Once you've taken all our anger out on the biscuits then you need to melt the butter over a low heat in a saucepan. Then once melted remove from the heat and add your biscuit crumbs and mix throughly until combined. 3. 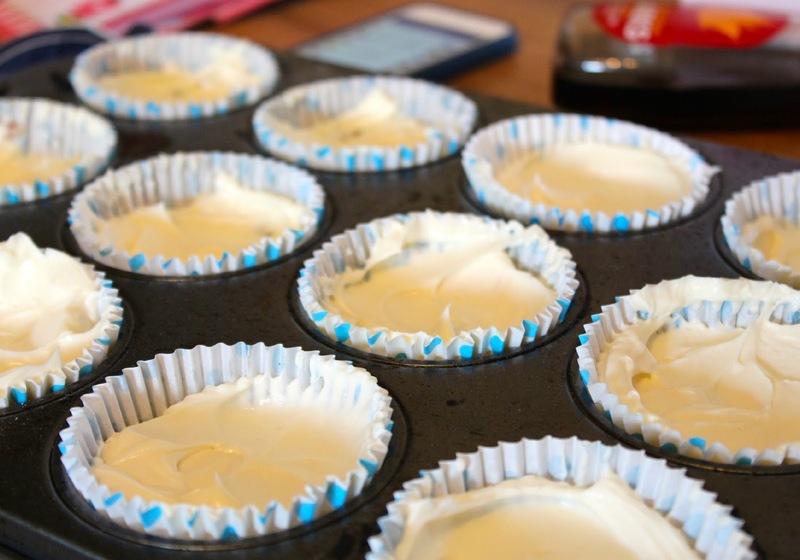 Press the buttery crumbs into a cheesecake dish or individual cupcake cases like I did and then pop into the fridge to cool whilst you make the topping. 4. For the topping you need to combine the cream cheese and mascarpone in a large bowl- you can use an electric hand wisk for this bit if you like and blend together until the cheeses are light and fluffy. 5. Add the icing sugar bit by bit until all is combined with the cheese mix. 6. Add the Henny & Joes syrup to the mixture of creamed cheeses and icing sugar- we added about a shot glass full of it. If you want to add more to the mix just make sure you add a bit more icing sugar to balance it out and avoid it being too runny. 7. 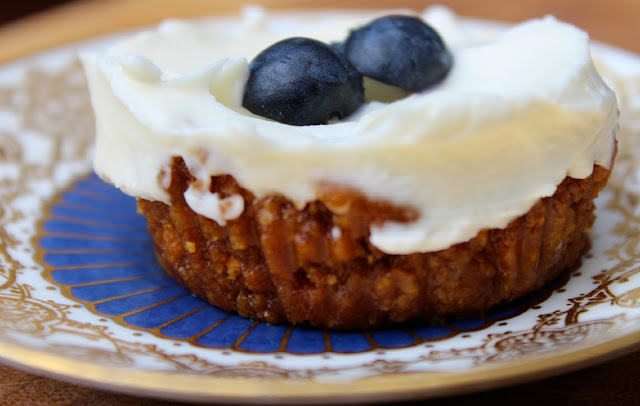 Remove your biscuit bases from the fridge and spoon over the topping mixture ensuring that you share it out equally.. we don't want mini cheesecakes without enough lovely chai mix on do we? 8. Once you've covered each of the bases in the topping you can then add some additional treats on top to pretty them up- I went for blueberries. 9. Pop the tray in the fridge for them to cool for about 3 hours. 10. Take them out and enjoy! Ohhhh these were so delicious- I love the gingery taste from the biscuit base with the creamy chai topping. The blueberries worked really well too with this combination, a nice sharp tangy taste to add to the smooth deep chai flavour. Now that I've nailed the cheesecake recipe I want to start adding Henny & Joes Syrup to other recipes/cocktails/hot drinks and this is where you guys come in! I have 3 small bottles to give away and thought it would be nice to see what ideas you come up with on how you'd use the chai to spice things up a bit! The 3 winners will be notified on Sunday 21st June via Twitter. Ohhh that sounds like a good one! Still think in a lovely homemade creamy rice pudding it would be delish! Your cheesecakes look delicious! I think I would use this syrup to make some chai cupcakes, maybe with a gooey centre (I'm thinking a vanilla to keep things super sweet), and a chai frosting on top too. Also I'd love to try my making some chai truffles too. I'm not sure how it'll taste mixed with chocolate, but I'm all for finding out!